If you don’t have a green house (sob!) and you want to grow from seed, you have a challenge. Provide the right amount of light, the right temperatures and all will be well, but the grey days and cold temperatures of this Spring are not optimum. 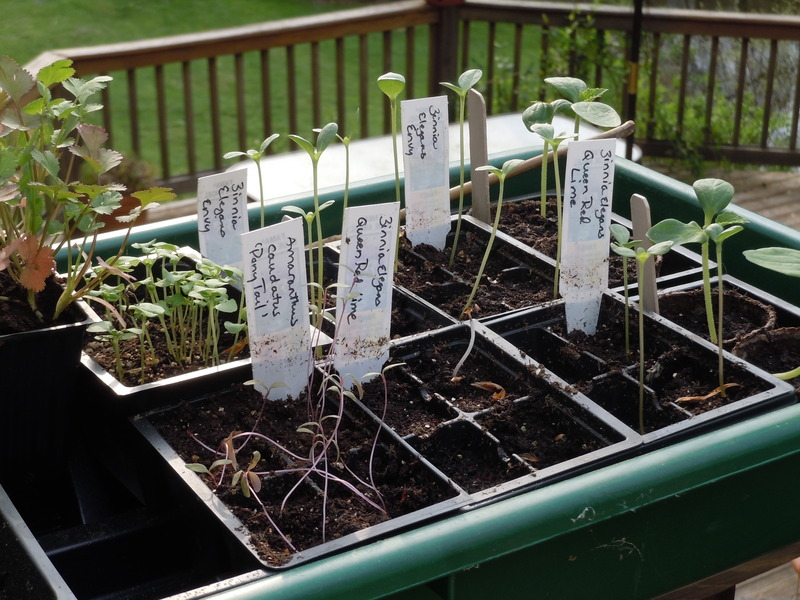 My friend over at Let There be Garden is showing the same results in Western New York as I am here in Southern Fairfield County. I was up at dawn today, pleased that the morning temperature was moderate enough to get the trays outside. 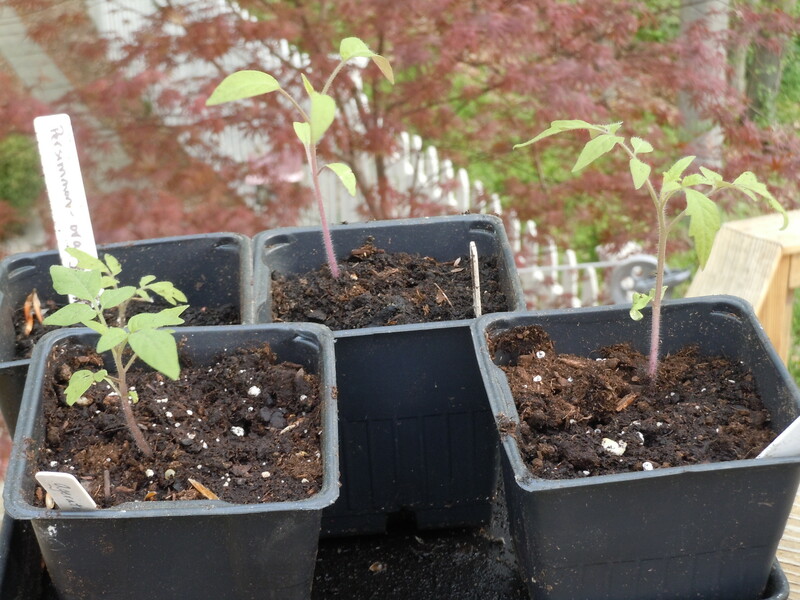 I am about a week into hardening off, and the tomatoes are happy for the increasing light. But many other seedlings are showing signs of distress. I was hoping the zinnias would look better; they want more light and more warmth. Well, come on, tough it out! Get growing! Survival of the fittest! The backdrop is a red maple, one of many that my Mother dug from her lawn and are now at home on our property. They do brighten up even a grey Spring day! Yours do look like ours! The tomatoes look like the ones we got from the workshop way back on March 12! Except ours seem to have taken on a sickly yellow color. We keep consoling ourselves that we’re new at this but it looks like we will be adopting others’ more successful efforts this year. We can’t even start hardening off because we won’t be putting anything into the ground for at least 3 more weeks. Sigh. I hope we’ll all have some great comparison shots in July!